Phalaenopsis Stem Propagation or Seed Pod - Page 3 - Orchid Board - Most Complete Orchid Forum on the web ! Sorry if I misled this discussion. I have an older plant and asked which method to best propagate for future plants. This has been a fun process and I have learned a lot from my online research and the members of this board. I now have multiple shoots that have developed in a multiplication medium. I am learning about the issues of phenolics oxidizing and what can help this process. I know I’m in the early stages of producing a flowering plant. I am updating my findings as I go and if more experienced members make suggestions, I am willing to learn. After 9 weeks I was able to separate 5 quarter sized explants from the multiplication medium and transfer them to rooting medium. Generally, how long will it take for the explant to produce roots? 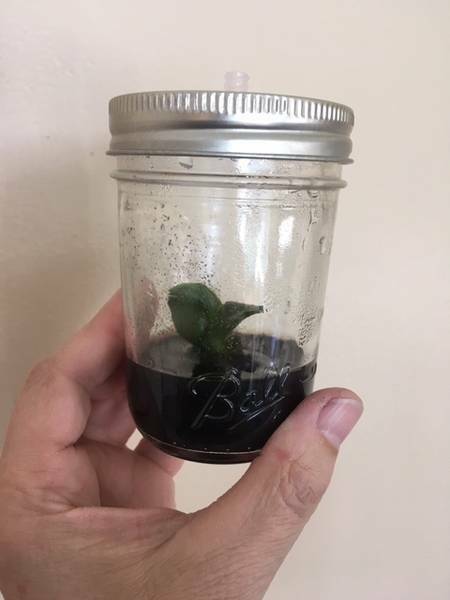 Will I need to transfer the explants again to new rooting medium during this process? Usually months for me. Longer than getting the initial shoot development. But depends on which hormones and what concentration or lack thereof. Did you have to transfer the explant to new medium during that time period? Trying to upload a photo. Last edited by Ki6bud; 11-12-2018 at 12:05 PM..